Facebook Photo Tools – We’ve mentioned in a number of our recent posts on Facebook about the importance of images in the new EdgeRank algorithm. According to a range of reliable and valuable sources Facebook takes a huge liking towards images and photos in its newsfeed. Essentially, an image is multiple times more likely to be seen and stay in feeds than for instance a status update alone or even a video or link to an article. Businesses that get on the ball can of course leverage this in their favour and use it in posts. It’s simple logic, you want your brand’s posts to be seen by the highest number of people possible – so, using images can help you keep ahead of the curve. The old factors also still make a difference to post times and this means the more Likes, shares and engagement you generate, the more you build up momentum in algorithm terms. In turn, this means future posts are more likely to stay in newsfeeds for longer and puts the onus on your to create attractive, unique and beautiful images – so, here are some Facebook photo tools to do so. The old favourite is still a great addition to anyone engaging in brand photos and really allows you to get down and get creative. From filters to frames, even the most mundane image can be added to. Frankly, Instagram is essential for businesses. However, if you feel a little let down with their ‘sell out’ to Facebook, why not try some of the alternatives we’ve blogged about? All the rage at the moment, meme generators and text adding tools can really give the plainest and most boring of images a new life. Of course, you need a sense of humour, wit or some luck to really pull it off – but it can really be a great way to create great content. Posting a status is wisely done via a meme as it provides the benefit of a photo in EdgeRank terms and also gets the text part of the message across, often in a manner more effective than image or text alone. Looking for something Instagram doesn’t have – well, you’ll most likely find it in the Chrome web store. From cartoon creation apps for photos to ones that turn them into oil paintings, the world of the Chrome store provides all sorts of Facebook photo tools. Experiment and enjoy yourself as it’s sure to come out in your images. 1. – Aviary Image Editor – This free and layer based app is great for editing and can even be used offline. Aside from plain images it allows you to make comics, web designs and even has a Facebook extension. 2. – DeviantART Muro – Another layering app with pressure sensitivity and a range of brushes. It’s not exactly for photos, but those looking to create a quick doodle will be delighted. 3 – Photoscape – A fun editor with great colour correlation qualities. It also works via the desktop and can edit GIF images. 4 – Pix: Pixel Mixer – another great editor with a comprehensive range of filters and layers that will make your photos stands out and encourages engagement. It’s also IOS compatible. 5 – Sumo Paint – A great editing tool that allows you to create 3D effects on photos and has hundreds of colours and brushes as well as dozens of filters. The iPad store is also excellent and comes with some great tools for image creation. 1. – Photoshop for IOS – One of the straightest forward comes from Photoshop and can allow for simple and effective content creation that will encourage sharing and engagement. 2 – Filterstorm – Though you have to pay for the Pro version, it’s nearly worth it for editing Facebook photos on the go. This app allows you to edit everything from colour range to gradient and also has a gradual learning curve. 3 – Photopad – This app works on all Apple’s devices and does all you need, easily and in a well laid out way. From posterize to colour swapping – it’s a simple and well organised image app. 4 – Photogene – Good effects, instant sharing and a wide range of controls for colour and sharpening and red eye clearance among others. 5 – Snapseed – This allows you to control 16mp images on iPad and utilises all the gesture control you’d expect from the Apple device. There’s a wide range of filters, frames and effects and it allows for quick and easy sharing too. So, stay ahead of the game and use the free tools at hand to rank, engage and create enjoyment. 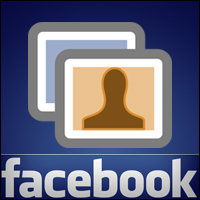 If we have missed one of your favorite Facebook photo tools please let us know via the comments! Looking to stand out on Facebook? Hire us for Facebook app development.